Jackie Curtis - Who Are You? 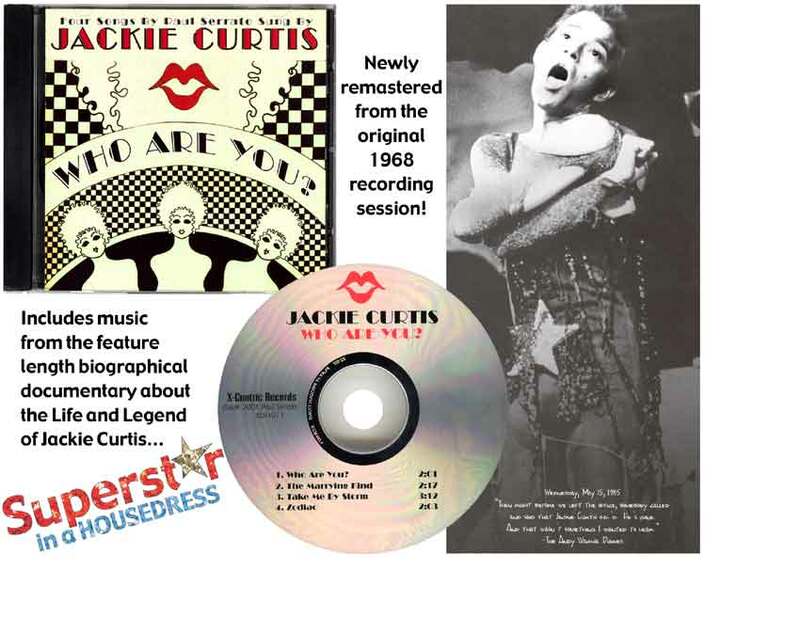 For Sale : a new CD on X-Centric Records of Jackie Curtis singing four songs by Paul Serrato entitled Who Are You? These songs were from Curtis and Serrato's first musical collaboration, Lucky Wonderful and have been newly remastered. This CD is available now on eBay (pay securely using PayPal or credit card - go to eBay and search "Jackie Curtis" or to purchase via mail order, click here.